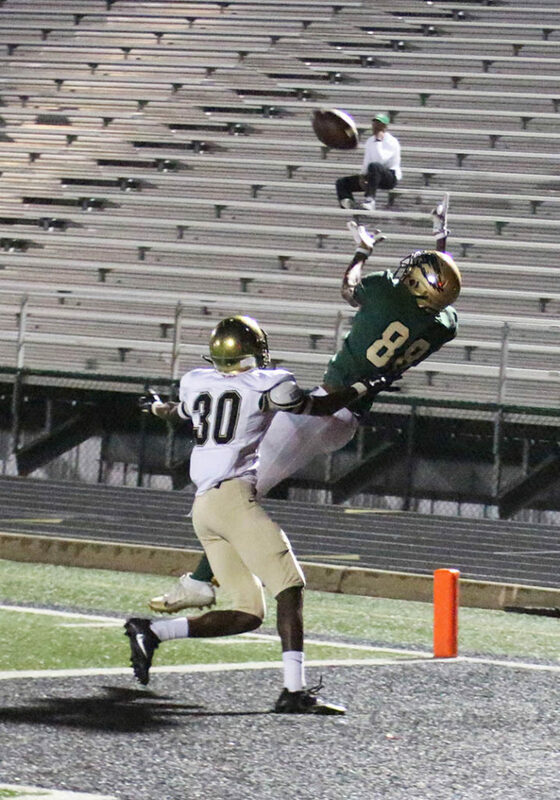 DESOTO—The DeSoto Eagles handed the Irving Tigers their fifth straight loss Friday as the Eagles soared to a 51-7 homecoming win. For most of the season Head Coach Todd Peterman has been drilling into his defensive squad to play stronger. Friday night they delivered, holding Irving to three first downs and a single touchdown. DeSoto never allowed Irving to move the ball in any kind of threatening manner. Irving only gained 68 yards the entire game. But to look at the stats it was truly a lopsided affair. In first downs the Eagles racked up 30 to Irving’s 3. In total yards the Eagles amassed 604, to the Tigers’ paltry 68 combined rushing and passing gains. In the first half DeSoto scored 38 points. 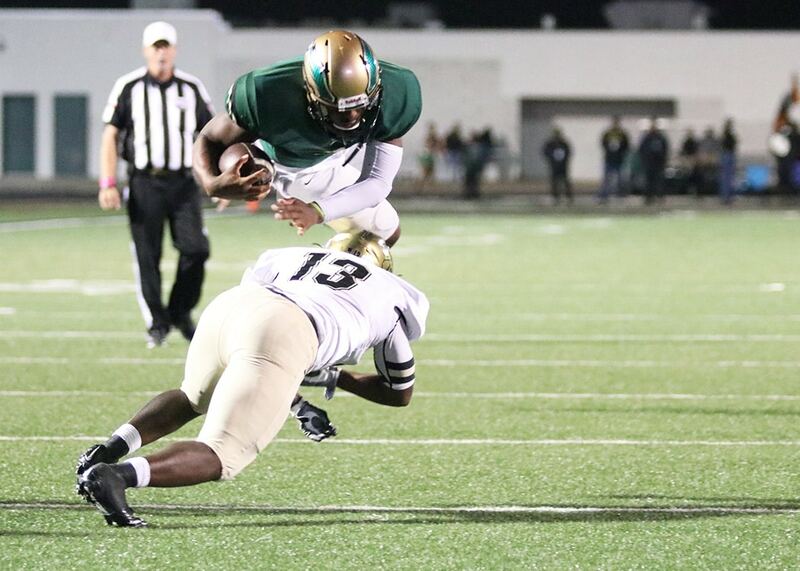 DeSoto starting quarterback Shawn Robinson racked up 180 yards Friday night. Robinson only played one snap in the second quarter; giving more playing time to backup Quarterback Courtney Douglas. As far as DeSoto’s rushing game goes, the combination of backs Kelan Waker, Richie Washington and Jamonne Williams all had superb games–each breaking the century mark. Running backs Washington and Williams each contributed two touchdowns. The only Irving touchdown came courtesy of its defense. On a third-and-22 in the second quarter, DeSoto attempted a screen pass. But Irving strong safety Kevin Kirklin jumped the route and intercepted Robinson’s pass, taking the ball 60 yards for a touchdown. 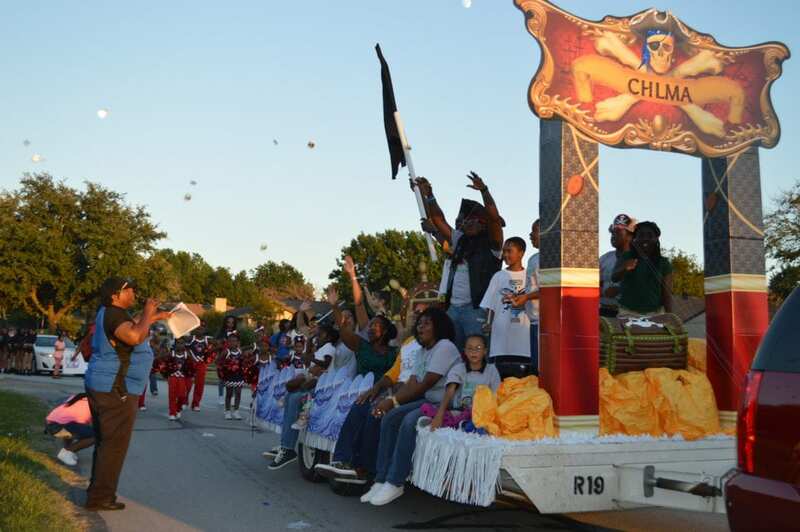 Over 50 entries participated in the annual DeSoto High School Homecoming Parade on October 12. The parade had hundreds of spectators lining the streets to watch the festivities! Crowds gathered after the parade at a pep rally at Eagle Stadium. This was a great community activity as the high school, district and community joined together to support DeSoto High School’s Homecoming Week. The pep rally included performances by the Eaglettes, Majorettes, Cheerleaders, Choir, and senior moms. Parade winners and Homecoming Court were announced at the game.